Early yesterday morning I received a phone call which I would rather not have had on a Sunday morning. For the sake of the family’s privacy and to respect their grieving process, I will use anonymous names for now. My friend, Stella, called to tell me that she and her husband had to cut a business trip up north short, as her stepdaughter was in the hospital miscarrying. Stella and her husband left at 2:30 am to make the 12 hour trip home as fast as possible to be with their daughter, April, as she endured labor to give birth to a stillborn baby. The baby girl, whom I will call Joy, had died the day before in her womb, and doctors had induced labor. In the afternoon our oldest daughter Heather called to let me know that April had the baby and that the baby had not made it, despite our prayers for a miracle from God. I couldn’t imagine the horror of having to go through the physical pain and emotional duress of labor, only to deliver a child that was dead. April and her husband, my friend Stella and her husband, and many family members were allowed by the hospital staff to hold the perfect-in-shape, beautiful baby girl to help them in the grieving process. Although the hospital staff said that the parents could keep baby Joy in the room as long as they wanted, they chose to say goodbye to her that night (with the rest of the family), and her precious little body was taken away. Compared to all the years where they could have held Joy, played with her, talked to her, and heard her laugh and sing if she had lived, they were only able to hold her for a few, too short moments. Life is sacred. Precious. Unpredictable. And most of all, very fleeting. Don’t let it pass you by. Hold onto God, cherish your loved ones, savor each moment God gives you on this earth, and live to bring a smile to His face and glory to His name. 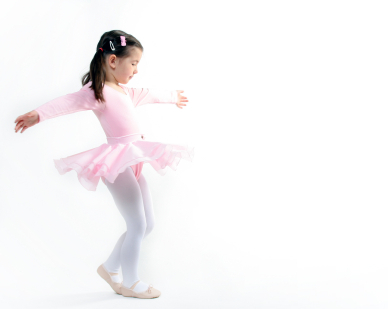 Yes, dance, beautiful little baby girl, dance. I am grieving so much with this family and praying for God to comfort them in this very hard time. What will we do with the few moments we all have been given and have left? Will we dance here? Will we be dancing with our Lord later? Or will we miss the sound of His glorious music?